This episode was really hard for me to listen to. I am the shippiest Cecilos that ever shipped a ship, and I wanted Carlos to just say, "Look, this isn't working, I'm breaking up with you" and let poor Cecil move on. Grarrrrrrrrrrrrrrrr. Also, I apparently have a lot of unprocessed anger at my ex! I dunno, I can't really say that I *liked* this episode, although I did like it because it made me feel things. It's just that many of those things I felt were very sad or angry, and by the end I felt genuinely frightened by the sort of town Night Vale is, instead of entertainedly bemused. Good episode. Probably won't ever listen to it again, but good episode. Yeah, suddenly they turned into an LDR and Carlos is just fine with staying, thanks. Bummer for the holidays. I've been annoyed with the current Cecil/Carlos plotline and how Fink's talked about it ("People working super hard to interpret a functional long distance relationship as a tragedy"). I don't know about a tragedy, dude, but from where I'm sitting, it doesn't look functional either -- Carlos was thrown out there against anyone's will, then decided that he'd found a new "most scientifically interesting place in ____" and decided to stay indefinitely without any input from his partner, who was explicit about his feelings of depression and abandonment. The fact that Cecil eventually resigned himself and might be learning from the experience doesn't make Carlos look like any less of a crap dude, with his refusal to even attempt to come back and the way he goes on about his super-captivating new friends. I could see a story like this working if I got any sense that the creators thought it was problematic -- I mean, even "there are upsides and downsides to this, Carlos has a right to enjoy life alone sometimes, but he's not being good to Cecil right now" problematic -- but they don't seem to. NV hasn't been the same for me since Old Oak Doors, and I honestly can't tell if it's the dip in quality/authorial loss of plot that it feels like, or if I just lost trust in the show at that point and haven't been able to give it a fair listen since. Yeah, it makes me wonder a little bit about what Carlos left behind whereever he was before deciding that Night Vale was a scientific curiosity. I odn't want Cecil to be hurt or anything but I don't have a huge hope for this ended well for them. I think Carlos is making the best of the situation and am withholding judgement of him until we see evidence that he had an opportunity to return to Night Vale and chose to stay in the desert. I think it is clearly harder on Cecil because he just wants his boyfriend back and Carlos is reveling in all the new SCIENCE in the desert. I really would prefer if Carlos was back in Night Vale sooner rather than later, but I am willing to see where the story takes us. I guess I still have faith in Fink and Cranor's vision of WtNV. 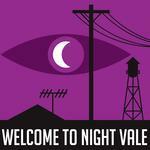 Additionally - Night Vale has always been an absolutely terrifying place to live (and die). The Weather was inoffensive this week, but I won't be purchasing it. I loved Cecil's mispronunciation of Michigan and Alabama. I wonder how Michael Sandero is handling the differences between Night Vale and the rest of the country.